Terra Firma Farm is a 200-acre CCOF-certified organic farm in Winters, California, that has been growing vegetables and fruit year-round for over 25 years. Our farm is as much about people as it is about produce. 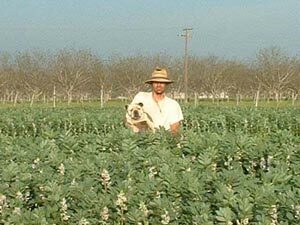 Our farm supports dozens of employees, some of whom have been with us since the beginning. They have been instrumental in making our farm what it is today. We have been producing high quality organic fruit and vegetables for our Community Supported Agriculture (CSA) program for over 15 years, and currently serve the San Francisco Bay Area, Davis, Sacramento, Vacaville, and our hometown of Winters. Our CSA members also help to ensure the success of our business, and provide motivation for us to keep growing delicious, vibrant produce. Many of our subscribers have been with us since the beginning of the CSA; their kids have grown up with memories of running through our fields and playing in our orchards at our annual CSA Farm Day, and they’ve grown up healthy while eating our vegetables.